Television manufacturers and broadcasters have come together to produce what could be the world's most boring television programme ever. They done it so they've got a standard way of measuring how much electricity the new generation of plasma or LCD televisions consume. TV broadcasters and manufacturers have edited together a mix of different genres spanning soap operas, nature programmes and sports, and have assessed the proportion of broadcasting for each type of genre in the world. This is because the power needed by a television for the images varies according to the type of programme broadcast, Reuters says. The programme will be contained in a new International Standard from the Geneva-based International Electrotechnical Commission (IEC), which offers a way to measure power consumption and provides manufacturers with a means to provide accurate energy label ratings for consumers. Energy Star, a joint program of the U.S. Environmental Protection Agency and the U.S. Department of Energy, has already distributed the IEC Standard to a number of manufacturers to draw up specifications. Policy makers in other parts of the world will be able to use the IEC Standard to define their energy-saving directives. European policy makers, for example, are considering an energy efficiency index that examines watts per square screen centimetre or inch. "This is one of those standards that might have some value to humanity. When you start talking about all of the TVs that exist and how consumers might be able to factor this into their decision making process, that's fairly cool," remarks David Felland of Milwaukee Public Television and expert from the IEC group producing the IEC Standard. The most boring TV show ever? 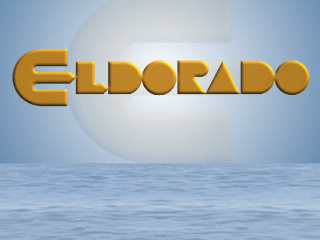 We thought that was Eldorado?